New Order. One of the truly great bands of the last 35 (!) years. That’s undisputed fact, but you know that already. Theirs is a history you’ll be well familiar with; the untimely death of a key member forcing their metamorphosis from the finest industrial grey post-punk act to a technicolour pop explosion, albeit with a heavy hint of the shading of yore. If you can ignore the sad pantomime of claims and accusations that’s become synonymous with their brand over the past few years, and put up with some of the sub-par material they’ve put their name to in that time – due to the availability of illegal downloads, Waiting For The Siren’s Call was the first New Order album I didn’t buy on the day of release. It was a right clunker before it was even in the shops to buy and it’s still a right clunker now. Their most recent, last year’s Music Complete was a fine return to the heady rush of Technique and a sun-kissed late 80s Ibiza, so, y’know, you take the good with the not so good. 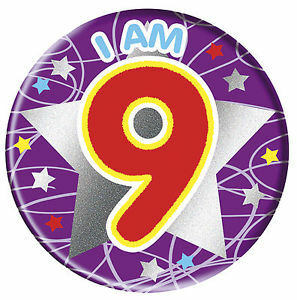 Every band who’s been at it for this long are allowed the odd dip in form, are they not? Despite this, I’d wager that New Order are probably one of your favourite bands. Hidden at the back of their sparkling discography is 1981’s second single Procession. It popped up via the lottery of the iPod shuffle on the commute to work the other day, and it’s subsequently become my latest musical obsession. My play counts (I know, I know) currently show I’ve listened to it 14 times since Tuesday. It’s playing as I type and it’s likely to cross the 20 plays threshold before this piece is published. I’m still not fed up of it. 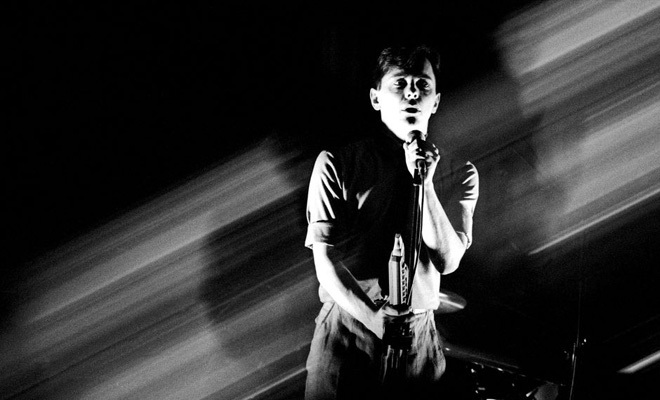 Ask a casual New Order fan to list their favourite tracks and it’s unlikely Procession would be one that makes the list, yet it’s beautiful and otherworldly, strange and obscure, soulful and hypnotic, arty, pretentious and in short, everything that makes New Order so unique. It‘s the record that sees the band peek through the outer shell of the Joy Divsion cocoon, almost but not quite ready to fly as New Order. Bernard still has the Curtis-apeing vocals (and image – see above), all character-free one liners (in itself character) which he tries his best to sing from somewhere below his knees, but the band soars. Driven by Hook’s instantly-recognisable trademark bassline, it’s awash with synths, electronically-enhanced drums and a wheezing, clattering guitar that verges on the point of being in tune. The magic touch though is Gillian Gilbert’s call-and-response vocals in the ‘chorus’, the sweet yin to Bernard’s morose yang. It works a treat – one of New Order’s finest compositions. 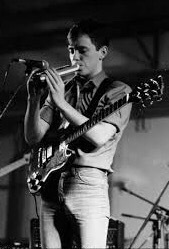 In true band style, Procession never made it onto any New Order album at the time, such was the high standard bands like this set for themselves in those days. 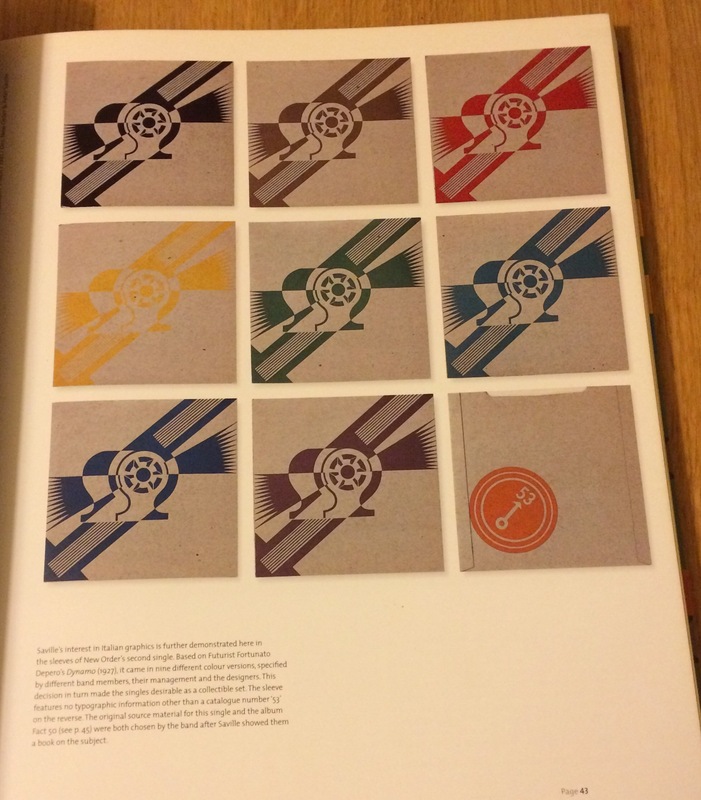 Procession was released in a multitude of sleeves (9 differently-coloured ones – collect ’em all, Factory fetishists) featuring some beautiful Italian Futurist artwork on the cover. New Order and Futurism, the perfect partners. 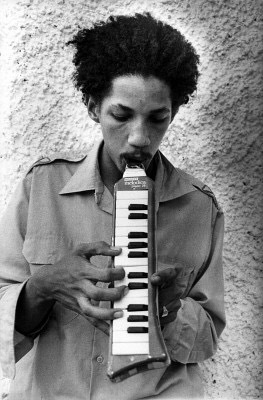 Augustus Pablo is perhaps to the melodica what Les Paul was to the electric guitar. Until Augustus, reggae was all about the boom of the bass and the pistol crack of the snare. Pablo took his melodica and made it central to the dub reggae records he played on, fighting for ear space amongst the booms and the pistol cracks, the bringer of other-worldly melody in an already expansive soundscape. Dub reggae is proper long-form music. It’s widescreen, epic and simply massive to listen to. But you knew that already. When Augustus Pablo teamed up with dub pioneer King Tubby, the results were dynamite. Their ‘King Tubby Meets Rockers Uptown’ takes the easy flowing lovers’ rock of Jacob Miller‘s ‘Baby I Love You So‘…..
…..and sends it into outer space with a heady treatment of clatters, bangs, melodi-ka-ka-ka-echos and all manner of sonic enhancements…..
It‘s a very influential record. If you know your musical onions, you’ll spot traces of the production in all manner of records, from Massive Attack and St Etienne to New Order and Primal Scream. Would New Order’s ‘In A Lonely Place’ be the record it was if Martin Hannett hadn’t turned to his inner King Tubby for inspiration; Other-worldly? Yep. Claustrophobic and menacing? Yep. Liberal sprinklings of melodica? Yep, yep and yep. It’s dub, man! A rainy, grey, 80s Mancunian, British take on dub, but dub nonetheless. Primal Scream currently have a very good (and very limited) 12″ on release featuring a dark ‘n dubby remixed take on their own 100% Or Nothing which stretches towards the 10 minute mark, cramming in as many booms, bleeps, skank-filled echoing guitars and, yes, melodica as possible. Somewhere between New Order’s In A Lonely Place and King Tubby’s dub-in-a-cave production, with half-inched vocal refrains from Funkadelic’s One Nation Under A Groove, it’s very good. Echo Dek part II, even. Forever with his finger on the pulse of what’s hot and what’s not, Adam over at the ever-wonderful Bagging Area featured it last week. 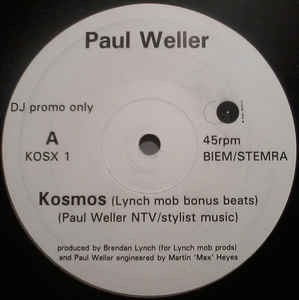 In the early-mid 90s, Paul Weller was fond of adding tripped-out, elongated versions of the a-side or even his lesser-known album tracks to his singles. Remixed and re-tweaked almost exclusively by Brendan Lynch, they could usually be relied upon to be the best thing on the single. The Lynch Mob version of debut album track Kosmos is fantastic. 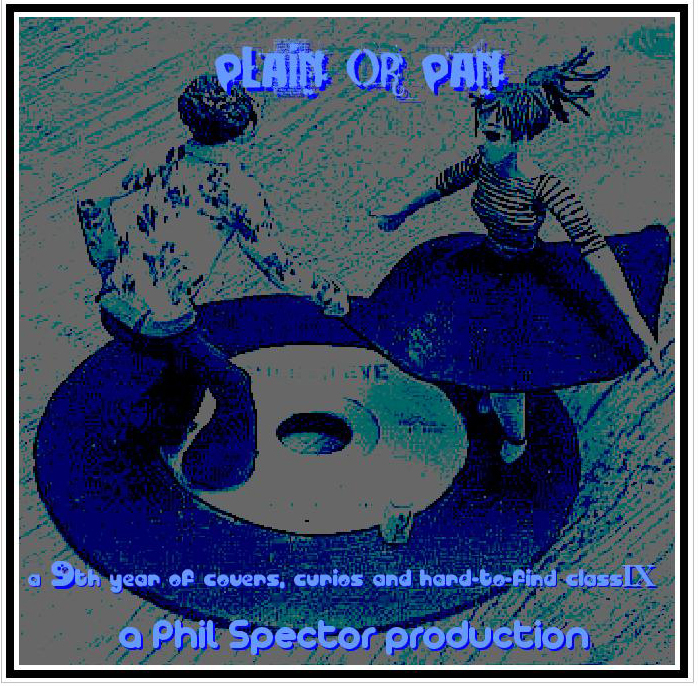 Clearly influenced by King Tubby, Lee Perry and all those other progressive-thinking sonic architects, it’s waaaay out there. We have lift off!, to borrow the sample at the start. I’ve probably mentioned this before, but it’s best listened to whilst you drive on the M8 on a hazy summer’s evening, just as the sun is setting and an aeroplane is taking off from Glasgow Airport, vapour trails shimmering in the mid-July heat, a stroke of luck that befell me once after dropping folk off at the airport. Anyway, back to Baby I Love You So. 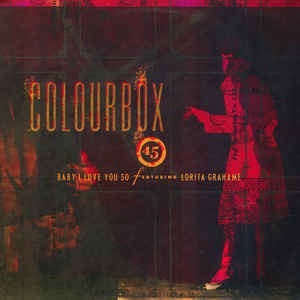 Back in 1986, when alternative acts were trying to keep up with the rockist jangle of The Smiths or creating their own heavy, heavy monster sound of goth, 4AD act Colourbox released a very good version. Replacing the melodica with electric guitars may have ‘indied’ it up a bit, but it loses none of its heavy dub or pulsing groove as a result. It’s a genuinely faithful version, replete with sonic wizardry and skanking galore. It’s also a tricky one to track down online, but here‘s the 7″ version, above, and the extended 12″ version below. 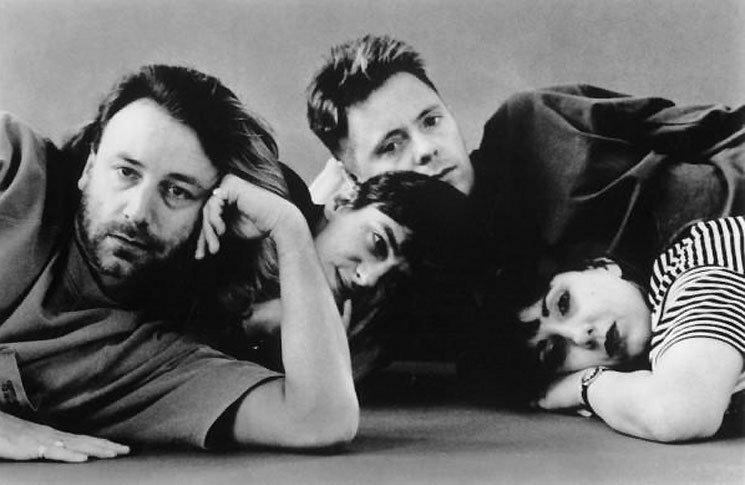 Majestic, magnificent, mid-80’s New Order. Is there anything better? 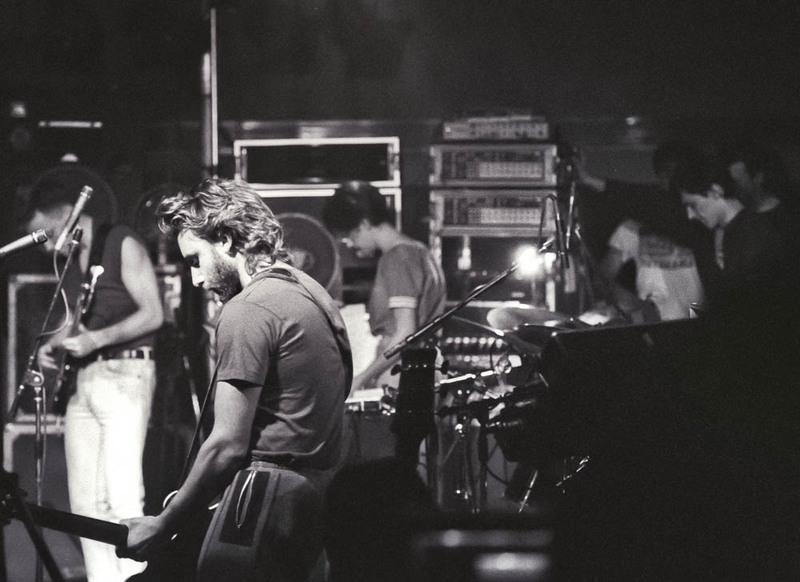 Long before the running of the Hacienda that seemed to take priority over the music and the inter-band fights that ultimately led to their sorry downfall, the band were imperial. Their 3rd album, 1985’s ‘Low-Life‘, tracing paper sleeve ‘n all, is a high point in a full-fat discography choc-full of high points. It’s the album where post-punk morphed into dance rock – stadium house for floppy fringes and German Army surplus, if you like. Side 1 closer ‘Sunrise‘ is New Order’s collected output in miniature; the elegant minor key keyboard swells in the intro giving way to one of those Peter Hook basslines that you kinda just always took for granted – fluid and high up the frets, and dripping with liquid quicksilver from the fingers of the Viking alchemist. It’s window cleaner-whistleable and never lets up the entirety of the song. Hooky by Kevin Cummins. Of course. Barney’s guitar is forever on the verge of being out of tune, playing a demented take on a Spaghetti Western twang, fizzing and wheezing its way through the song between vocal lines, crashing to a frantically-strummed crescendo somewhere around the 6 minute mark when the ‘F’-shaped chords rattle out like Nile Rodgers fronting the Buzzcocks. 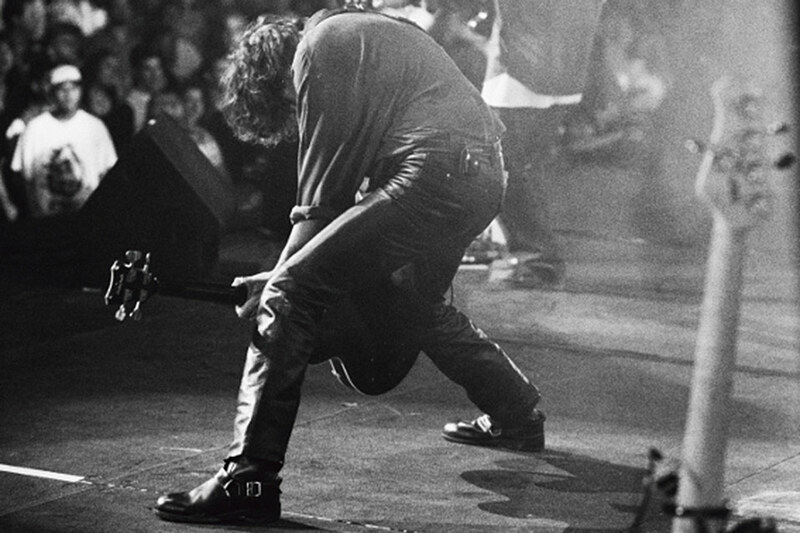 Even his vocals, never his strong point, let’s be honest, hang on in there, straining at the high notes before being drowned out by his furious strumming. 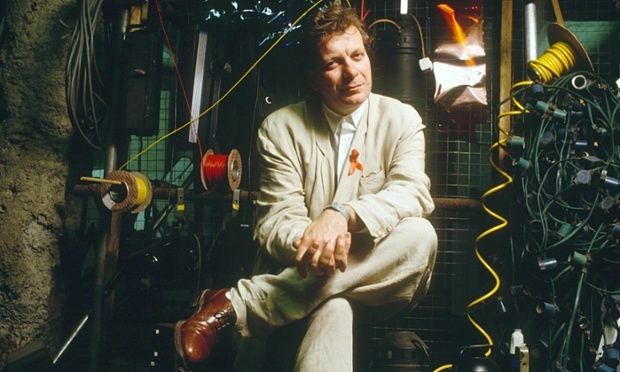 Even more of a beauty is last year’s homage to Anthony Wilson, St Anthony: An Ode To Anthony H Wilson. The brainchild of Manchester poet Mike Garry who’d performed the poem, beat poet-style in Manchester’s hipper venues, it was offered to a local composer who added large elements of New Order’s ‘Your Silent Face‘ to the spoken-word track, creating a gorgeous, lush, string-laden track that runs an alliterative A-Z of all that makes Manchester great. The Arndale…Acid House…Bez, The Buzzcocks, The Bouncing Bomb, The beautiful Busby Babes…. Curtis, Cancer, Crack…. Dance, Design, Durutti, Devoto… I could list it all, but it’s better to just listen to it and soak it all up for yourself. When it came out last August I was totally obsessed by it. Although the original version is the one I heard first, the Weatherall remix is a 9 minute monster. 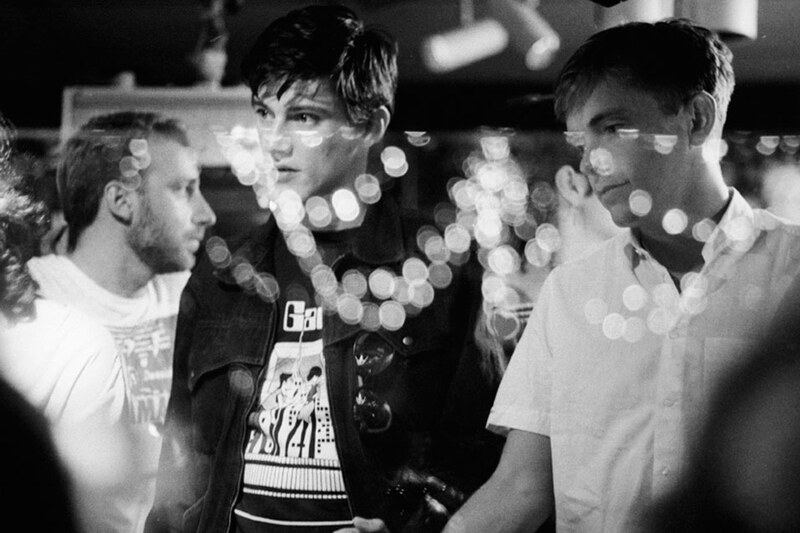 Motorik, relentless and repetitive, it’s the one you want to hear first. Treat yourself to the vinyl or CD here. Go on! I’m no audiophile, but when the New Order back catalogue was re-released by Warners a few years ago, there was a huge outcry over the shoddy mastering of the music. For a band steeped in technology and futuresound, the music on the discs was tinny, weak and flimsy when compared to the original vinyl. My LP is currently spinning as I type and I can attest to this. Don’t let that put you off though – if you like the 2 New Order tracks featured here and are hearing them for the first time, just imagine how terrific they sound when played on the right format. In fact, you should probably pop down to your local record shop (every town has one nowadays) and buy them.